After 12 years as an autorickshaw driver, Mahadev quit. Why? What does he think about past career and what about his future? For women working as domestic workers and in garment factories, their fight for survival comes in the way of them being mothers to their own children. Don’t miss this Stanley Ka Dabba. Its sincerity will leave you moved. In its third edition, World 10k run has many takers in Bengaluru. Citizen Matters finds out what fuels the runners and how they train. I now have to remind myself constantly, that I don’t need to scurry and that as a pedestrian I have as much right as any other resident using the road. What documents will you need, to get UID? UID or Aadhaar will roll out in Bengaluru in June. Here are the various documents one can use to make the enrolment easier. 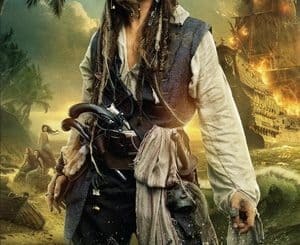 The fourth Pirates of the Caribbean movie exudes a freshness, retaining the series’ unpredictability and sense of humour. Ramadass, Minister for Medical Education visited Victoria Hospital and has recommended corrective action. The risk of car theft is something most of us live with world over. Combating it appears to be getting easier with the cell phone technology based tracking solutions available. See what’s on offer. What to ask your doc?